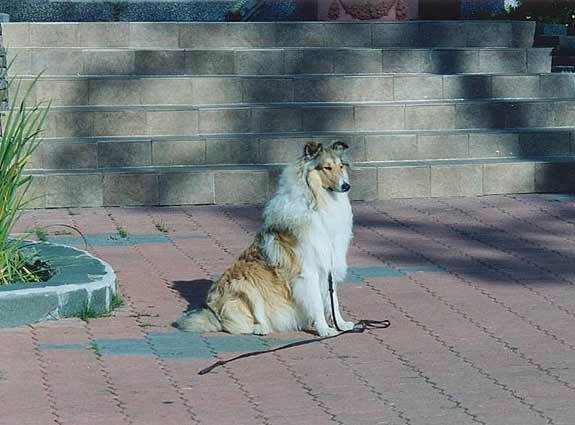 Very attractive collie with beautiful long lines in head and body. Very pretty expression. I would prefer eyes slighly darker. Very beautiful ear carriage. Flat skull. Very nice neck and silhouette. Fitting bones. He moves with very effortless long strike. Tail carriage slighly above what I like but I will forgive him because he?s such a beautiful type.